Photographs and video captured by World Land Trust funded “Keeper of the Wild” REGUA Ranger Rildo da Rosa Oliveira, show the “endangered” Muriquis seem to have been less affected by the Yellow Fever bout that impacted the populations of the Howler monkeys earlier this year. A couple of Howler carcasses were found on a REGUA partner property and the forests have remained silent as a result of the Yellow Fever that spread over South East Brazil. A massive campaign to vaccinate people resulted but it was impossible for doctors to reach the primates in the forests. Rildo was walking the REGUA Red Trail high, above the waterfall in November and heard barking coming from lofty tree canopies some way away. Following the sound he quickly detected the group of five adults. 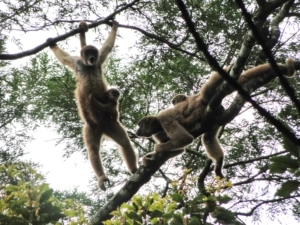 An adult female Muriqui had her young with her and tried to scare Rildo away, but it was too good an opportunity to miss. Rildo has heard the Howlers calling over the last month, so it seems we haven’t lost all populations. Fingers crossed that our continued restoration will give all species the room to increase in numbers and with corridors strengthen their populations. Further studies are needed, but Rildo is delighted to share his rare sightings of the Muriqui with us. Last weekend REGUA received Thomas Brooks, Head of Research at Geneva for IUCN. In between seeing birds in the day and waiting for the owls to call in the evening, we discussed the importance of monitoring, something talked about at the recent World Land Trust conference in Thetford UK. He also asked us about long term sustainability. I told Tom that we believe REGUA will continue to grow and reach to tourism, education and research income streams and that we look at the protection core costs such as Ranger work being covered by Eco-service payments. As there is increasing evidence that forests produce water, we believe that grants will be available in the near future that provide annual fee given to those proprietors who have forest cover. 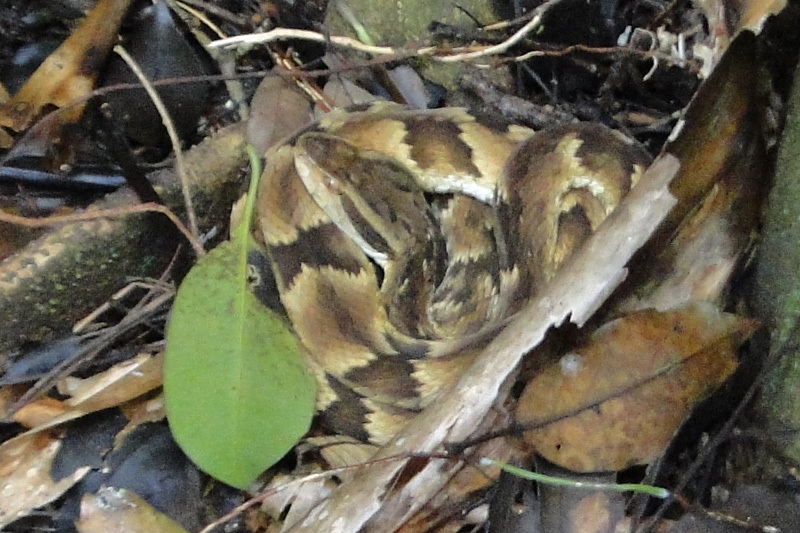 The Atlantic Rainforest has been subject to enormous change over the years and many species are suffering as a result of the forest vegetation cover change and, of course, hunting. REGUA received UNESP (São Paulo State University) researcher Carla Martins Lopes with a team of three researchers. 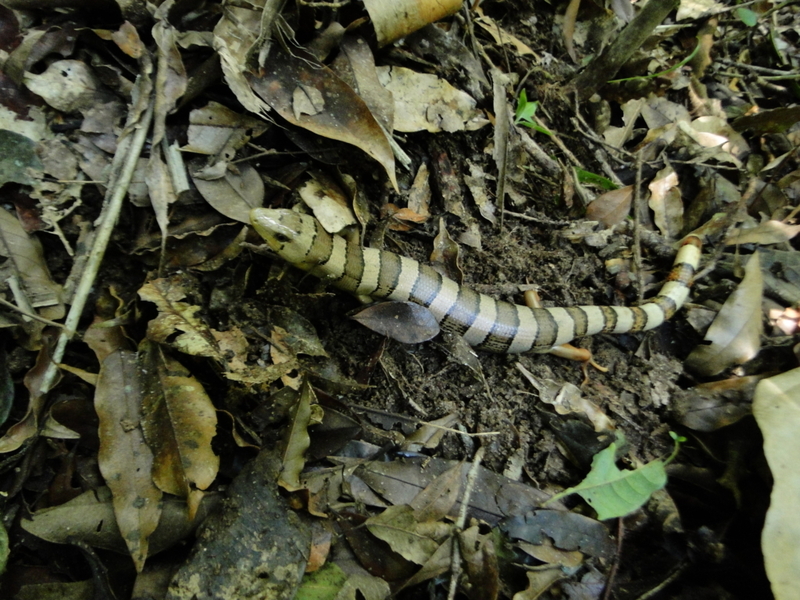 They are sampling leaf litter at the higher elevations of the Reserve to seek residues of DNA that can offer identification of the species that lived and frequented the same area in the past. 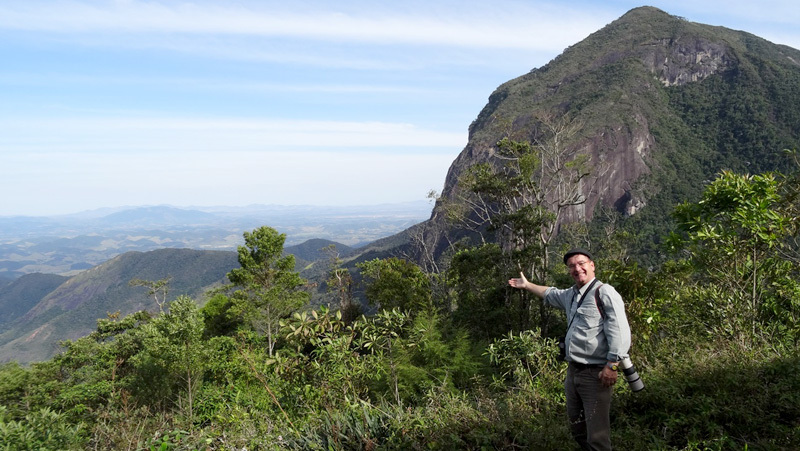 The World Land Trust Keeper of Wild Ranger Rildo da Rosa Oliveira guided the group to the top of the green trail, gathering leaves and bringing them down to our research laboratory. We are very interested in the results, as this is a very new area of research sampling, and may offer some exciting surprises. Perhaps we can build up images of the animals that occupied these forests in the past, such as the Jaguars, Tapirs and White-lipped Peccary! REGUA and the Fatorelli family signed the deeds to the Lagoinha valley on 14th January 2018, at long last completed this delicate land purchase. 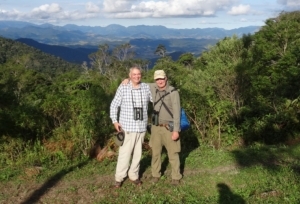 The Rainforest Trust has not only been totally supportive but also very generous and patient, helping us to maintain the calm and vigour required during the entire period of negotiation. This has been one of the most complex and delicate land deals we have been engaged in, but through gentle persistence we managed to secure the property at an affordable value. I still feel fairly faint with the completion of this ultra-sensitive land purchase. The story behind the scenes is really of soap opera magnitude. 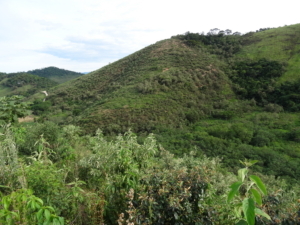 The Fatorelli property has a title that extends over the entire Lagoinha valley and this valley is located between two adjacent tracts of Atlantic Forest. Since the 1940s the property has been occupied by 40 tenant farmers working and living off the land. They have simple houses and undertake slash and burn agriculture causing serious habitat damage, some still hunt and the impact on the valley’s biodiversity is severe and one in conflict with REGUA’s objectives. Over recent years farmers’ interests have declined and many wish to leave the valley and follow their family, moving to the nearby towns. Tenant rights in Brazil are transferable and outsiders can buy plots on which to build second homes, attracting opportunistic local city dwellers to the area. 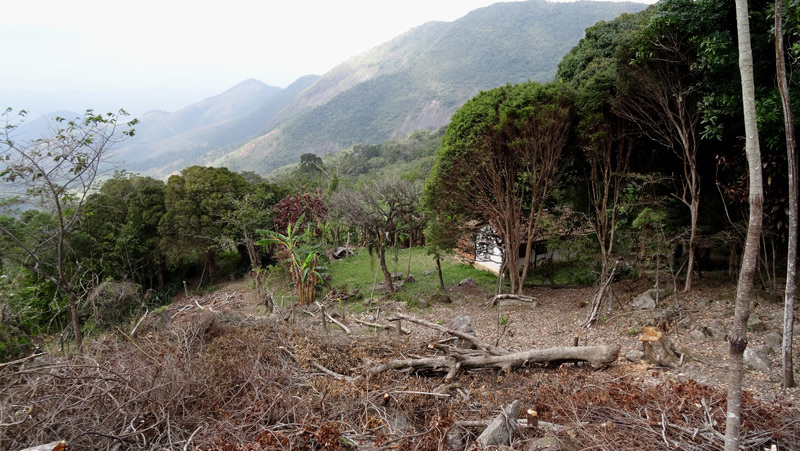 The construction of second houses attracts others and ultimately poses a problem for the long term conservation aims of the Guapiaçu watershed along with many other areas of the world. Limited energy and vehicle access are two factors that have helped reduce the threat locally up to now, but the availability of cheap plots and desire for second homes can abruptly change the scenario. This has been seen in the more accessible areas around the village of Guapiaçu in just the last decade. Following the successful World Land Trust sponsored ‘Matumbo Gap’ land purchase, REGUA has addressed this issue, sought support and reached fair agreements to compensate those occupying the land and enabling them to vacate their properties. 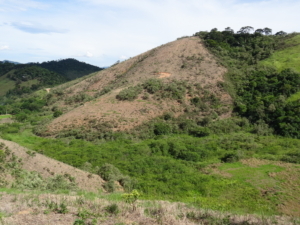 This gives REGUA the opportunity to protect the forest and allow it to recover. REGUA is home to 11 species classified by the IUCN as Threatened – Brown-backed Parrotlet, White-necked Hawk, Golden-tailed Parrotlet, White-bearded Antshrike, Salvadori’s Antwren, Fork-tailed Tody-Tyrant, Russet-winged Spadebill, Bare-throated Bellbird, Black-backed Tanager, Buffy-fronted and Temminck’s Seedeaters are all classified as Vulnerable. A further 26 species at REGUA are classified as Near-Threatened further 28 bird species at REGUA are classified as near-threatened. In addition it is home to several troops of Southern Woolly Spider Monkey or Muriqui Brachyteles arachnoides South America’s largest and rarest primate classified as endangered. Many of these species are decreasing in number giving more urgency to the purchase and protection of the remaining Atlantic Forest. In theory reserves and parks should not have houses or people living within their limits, but when protected areas are established with tenant farmers already living within, the Government prefers to avoid confrontation and circumnavigates issues permitting tenants to continue their lives and activities on site until they are ready to move. Tenant farmers are protected by law yet do not have deeds with which to prove ownership. By openly negotiating with the families, explaining the aims and arriving at favourable agreements, the Fatorelli case is felt to be a key success story for the conservation movement in this country. 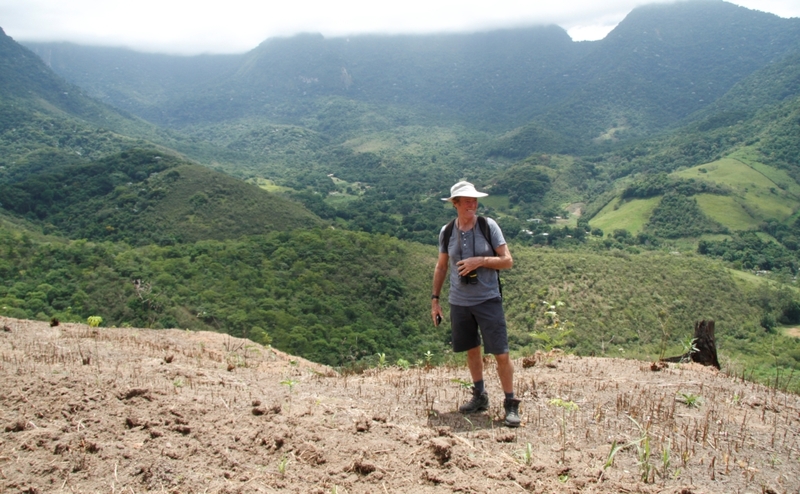 REGUA’s new full time ranger will regularly walk the Lagoinha valley and REGUA will continue to offer opportunities to those wishing to change their home for one closer to their families. 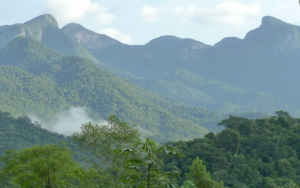 The REGUA reserve continues to expand and guarantee an immense forested corridor to benefit its fauna and flora diversity. This is triumph for the conservation world and shows that sensitive conflict areas occupied by humans can be solved. The Southern Muriqui (Brachyteles arachnoides) restricted to the Serra do Mar mountains of South East Brazil and classified as “endangered” on the IUCN red data list, used to have a much larger home range. Sadly forest loss, fragmentation, timber extraction and urban expansion reduced its home range area and today the sighting of this magnificent species is really rare. Some retired hunters have never seen them! Rildo da Rosa Oliveira is one of REGUA’s team of rangers. Rildo, who is funded by the World Land Trust “Keepers of the Wild” programme, caught these amazing photographs of the species with young of various ages indicating the population is stable and healthy. Rildo (himself an ex-hunter) is engaged in helping University researchers in their studies. 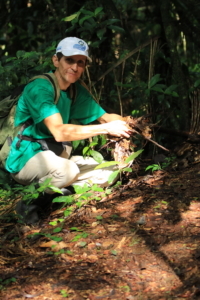 REGUA likes to promote research in the Reserve as a means to maintain a positive presence in the forests which are home to peccaries and pumas, the Solitary Tinamou and the Variegated Antpitta as well as important tree species. Maintaining a low impact and constant presence dispels the hunters and charismatic important species such as the Southern Muriqui become less flighty over time. 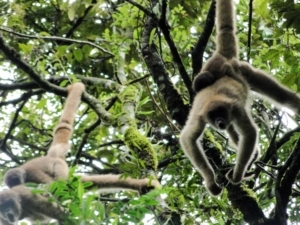 These animals are now being more regularly sighted and specialist André Lanna suggests REGUA might be home to the largest population of the Muriqui in South East Brazil, or the world for the matter, as the species is endemic to this region. REGUA wishes to thank the World Land Trust for their support that permits ranger Rildo to keep a whopping 2500 hectares free for the species and the forests of hunters.